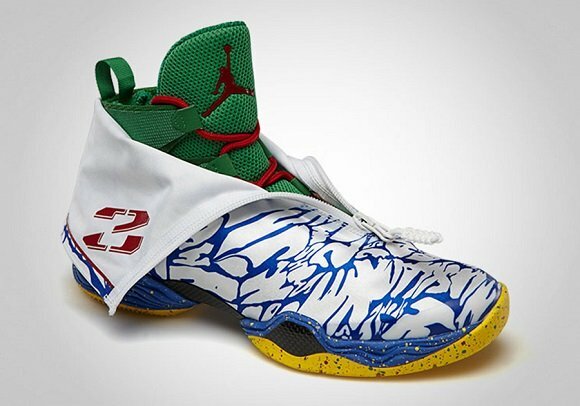 One of the illest Jordan Spiz’ike’s, in my opinion, was the Jordan Spiz’ike “Do The Right Thing”. 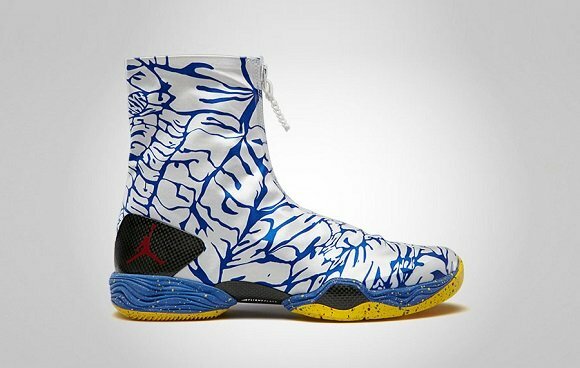 The shoes featured a White/Blue/Yellow/Red colorway inspired by the movie posters for the classic Spike Lee Joint from which the shoes took their name, as well as a letter print that, from a glance, appeared to be elephant print. 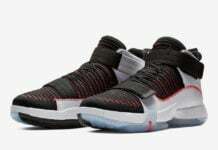 Well, Jordan Brand must have loved those shoes as well, as they have taken the design cues from that shoe and placed them on the 28th signature Air Jordan model, to create the Air Jordan XX8 “Do The Right Thing”. 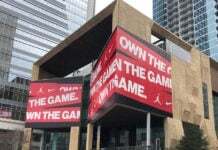 Featuring the same colors as the Spiz’ike version (which released nearly six years ago, in September of ’07), the shoe also makes use of the aforementioned letter print, splashing it on the shoe’s shroud. 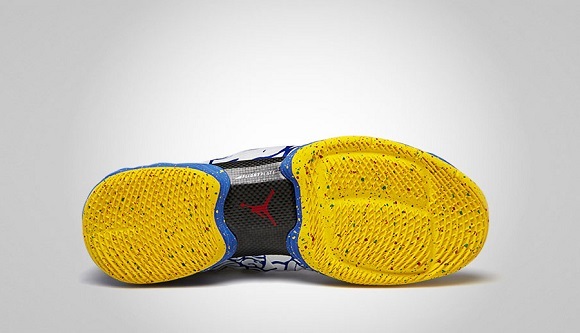 The shoe also takes the paint-splatter effect used on the “DTRT” Spiz’ike’s upper, only this time placing it on the shoe’s midsole and outsole. 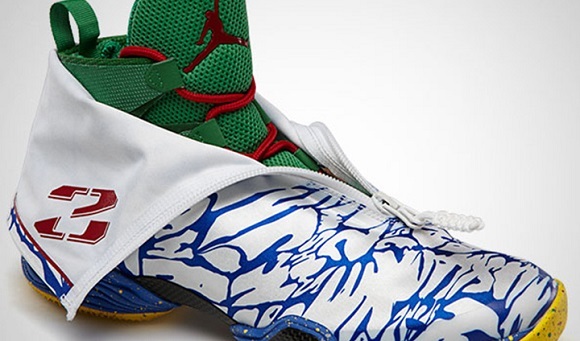 The actual shoe, oddly, features a hunter green color, accented by a gym red Jumpman logo and set of laces. 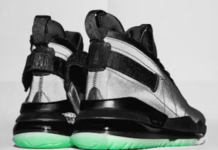 Most definitely a looker, these shoes are set for a June 29th release at select Jordan Brand retailers. 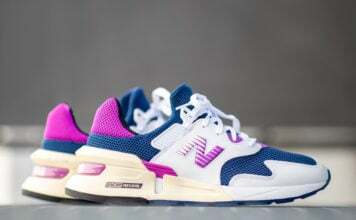 Let us know in the comments below if you plan on picking up a pair on release day, or if these don’t match up to the Spiz’ikes they were inspired by, and hit the jump for a few more pics.